In a massive city like New York – where things always seem to be changing and newer, taller buildings seem to be rising – it is easy to forget about what once was. If you visited the corner of West 138th Street and Adam Clayton Powell Boulevard in Harlem a few months ago, you would have seen rocks, dirt, and weeds. Today the beginnings of a foundation are being poured and, in the future, a new 8-story affordable residential building will stand. In the midst of all the excitement, it’s easy to forget the historic building that once stood at this site, the site of one of Brooker Engineering’s current projects. 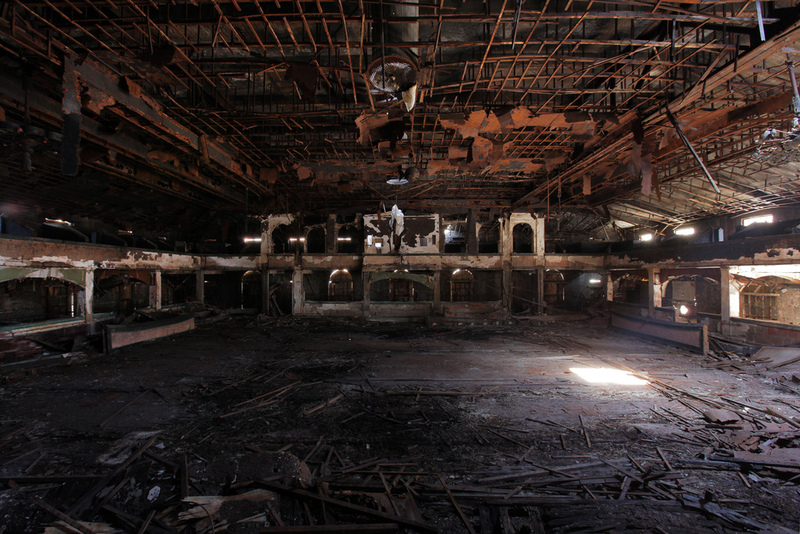 Completed in 1924, the Harlem Renaissance Ballroom was set to become a critical game piece in the vitalization of the area’s culture. “Prize fights, concerts, dance marathons, film screenings, and stage acts were held at the Renaissance, along with elegant parties and meetings of the most influential social clubs and political organizations in Harlem. The community’s elite gathered to dance the Charleston and the Black Bottom to live entertainment by the most renowned jazz musicians of the age.” If you could take yourself back for a moment, to the roaring 20s when so much change was coming to America, you can picture the atmosphere of “The Rennie.” Colored lightbulbs in gorgeous chandeliers once hung from the ceiling, illuminating the dance floor. Large signs regarding upcoming acts once graced the walls, exciting those who enjoyed the entertainment of Duke Ellington, Count Basie, and Ella Fitzgerald. Of course, as they say, all good things must come to an end. And in the case of this vibrant and moving ballroom, it was a slow decent to closing. As integration opened many other clubs to African Americans throughout the 60s, business declined until it closed in 1979. In 1991, the Abyssinian Baptist Church purchased the mortgage with plans to restore it to its former glory. But those plans got delayed, landmark consideration was taken off the table, and the Church sold to BRP Development. 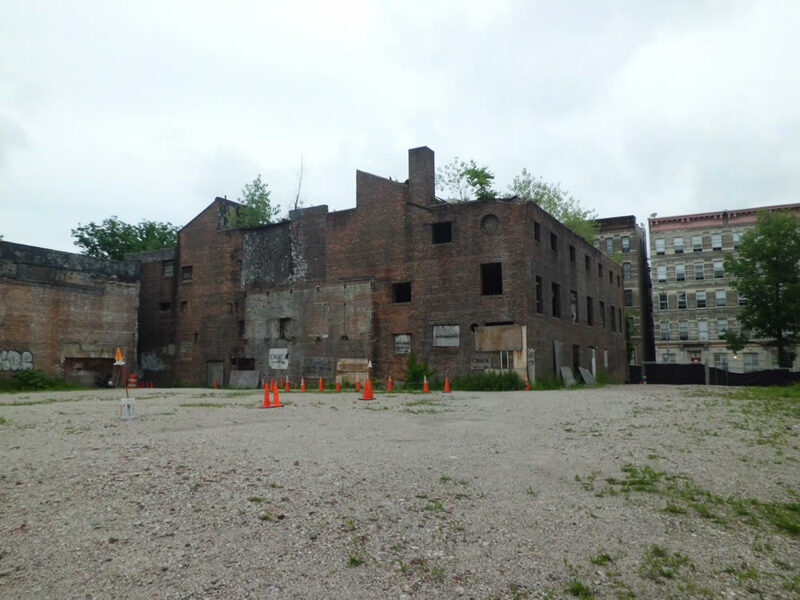 Though the building is “too dilapidated and unsafe to restore” and also not landmarked, BRP Development has worked with preservationists to do its best to commemorate the memory of the old ballroom. Architectural elements, including the same size and color bricks and diamond mosaics around the second floor, have been incorporated into the design. The Harlem Renaissance may be in the past, but its memory will live on in The Renny.